The concept of an all-inclusive resort, where one price covers lodging, meals, drinks, activities, and entertainment, took off at Caribbean beach destinations in the 1970s, with Club Med dominating the original budget-minded market. By the late '80s, developers were introducing the next phase of luxury all-inclusive that might include personal butlers; salon and spa treatments; fitness, cooking and language classes; and cultural tours. Traveling seniors tend to be more interested in convenience and gravitate to these high-end all-inclusive resorts. As with families, the security provided by a gated all-inclusive resort adds a level of comfort. Easy participation in activities such as golf, tennis and cycling appeals to older guests, as does a variety of fine-dining options such as those found at the Breezes Grand in Negril, Jamaica. As an added plus, vacationing at an all-inclusive resort can make it easier to stick to an established budget. Some all-inclusive resorts cater to families with children and focus on activities appropriate for an age mix of participants; others attract boisterous singles and younger couples looking for a party vacation with plenty of alcohol. To avoid those types of distractions, look for an adults-only property with the types of amenities and activities that most appeal to you. Some destinations, such as the Mayakoba or Playacar areas of Playa del Carmen, for example, cater more to older adults without children than others, such as nearby Cancun. The Couples Swept Away resort in Jamaica attracts tennis lovers, while numerous all-inclusive encompass their own golf courses or provide access to ones nearby. The course at Casa de Campo in the Dominican Republic earns accolades as the Caribbean's best, though the resort does welcome children. The all-inclusive price at some resorts excludes golf, so check before you book if getting in 18 holes each day tops your list of vacation must-dos. Many resorts design their offerings for couples, but others provide welcoming accommodations for solo travelers or a group of single friends at properties that range from lively to tranquil. 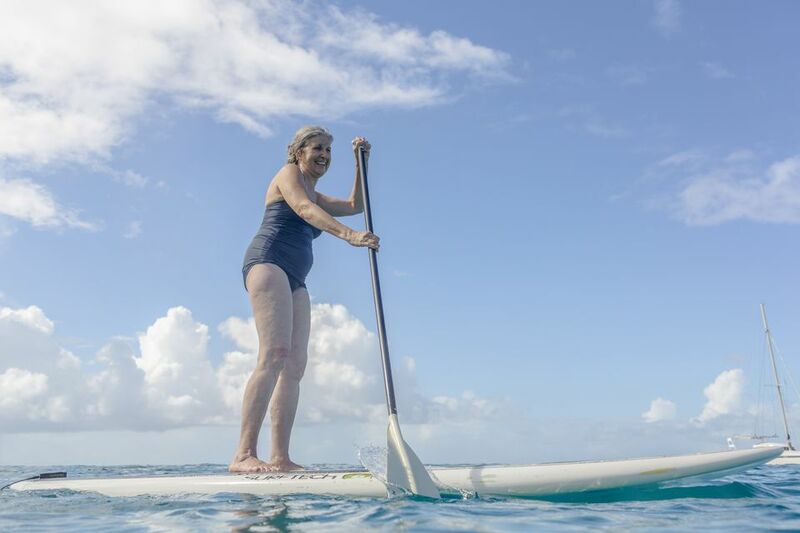 Single seniors looking to make new friends, reconnect with old ones, or enjoy some quality alone time can still find value at an all-inclusive resort. Before you provide your credit card number, make sure you understand the fee structure of the resort you choose and account for any hidden expenses, such as transportation to and from the resort, service staff gratuities or activity surcharges. Ask questions until you fully understand what you can expect for your money; booking an all-inclusive vacation should leave you with little to focus on other than relaxation and fun once you arrive. And while luxury all-inclusive can take the stress out of travel, they might not be a good choice if you prefer to fully explore a destination, getting off the beaten path and eating like a local.